In its 23 year heritage in producing world-class sports cars, McLaren holds numerous badges. Talking about few out of the series, we would preferably first talk about the back then McLaren F1 launched in year 1992, setting up new land speed records for the up-comers. Second came a decade ahead Mercedes-Benz SLR McLaren, tagged to be the most successful supercar even in its range. Time moved and so the concept and ideologies for making innovative, performance oriented highly efficient innovative supercars. This was right when the McLaren began a new tag with the lighter, powerful and efficient debut 12C model. 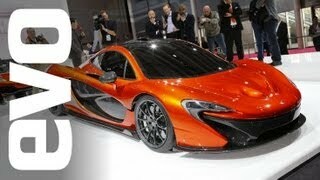 Moving ahead in same is this one, the McLaren P1 Concept 2012. The McLaren people indeed with this unveiled the dream concept car. 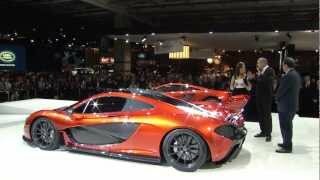 At the Paris Auto Show 2012, McLaren previewed design study of P1 model. 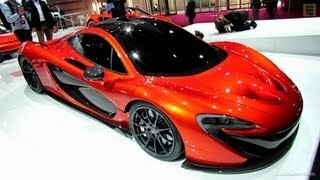 Looking at the official images people correlated very easily the McLaren P1 concept to the McLaren F1 and McLaren MP4-12C. 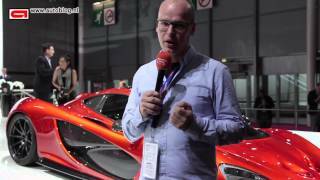 Upon the show officials said, that the motive they are carrying isn’t to reach the highest sale, instead are focusing upon the McLaren P1 Concept 2012 to be the best driver’s car, both on road and on track. However this eventually brings them to the first target. With this very ‘design study’ at the auto show, perceptions began to dwell in and around. It is anticipated that a V-8 engine will run the power through the car and the horsepower to touch the minimum of 618. Reason behind calling ‘minimum’ is that the same had been carried in past. Yes we are talking about the MP4-12C and F1 models which held the 618 hp. Now it is upon the company’s strategy as they’ll rise above, stay at the point or will fall a little back in terms of power. To keep its power to the floor, McLaren will have to aid the P1 Concept with massive amount of downforce; approximately more than 1300 pounds.